How Much Does Church Web Hosting Cost? It’s a difficult question to answer because there are so many factors involved, but in this article we’re going to help you assess what a good price for church web hosting is. At the beginning of this series in the article What is Church Web Hosting? we compared web hosting to renting a storefront for an ice cream shop. Asking how much church web hosting costs is kind of like asking how much it costs to rent a storefront. The same is true for church web hosting. Platform – If you build your website using a DIY website builder, your web hosting service provider has to not only provide support for the web hosting itself but also for the website builder. For this reason, prices for DIY website hosting services are usually higher than if you just get hosting and build your website from scratch. Backup – web hosting services that includes daily off-site backups and RAID are usually a little more expensive than those who do not. Support – The more comprehensive the support and the more US-based it is, the more it will cost. Church web hosting prices can range anywhere from free to about $30/mo. Yes, you can get free church websites at places like Wix, Weebly, and even with us a OurChurch.Com. But they lack a lot of significant features and support. 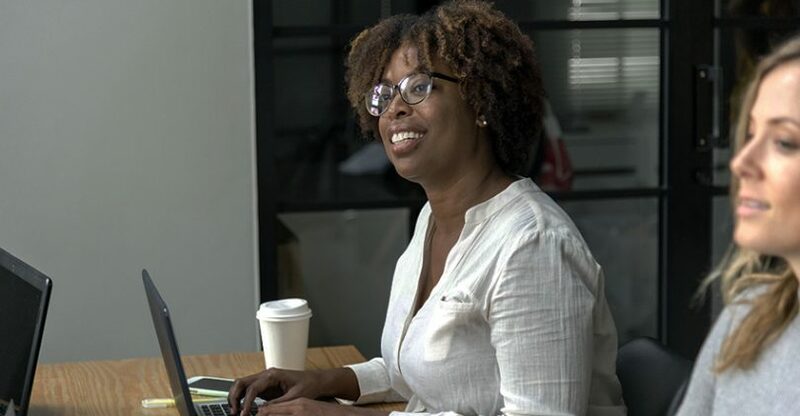 Some web hosting providers like DreamHost do offer free web hosting to 501c3 nonprofits who go through the application process. Most web hosting services that don’t offer a website builder cost in the neightborhood of $5-$15/mo. Those that support a DIY website builder tend to be in the $15-$25/mo range. Most of them also offer significant discounts if you pay annually. So, the bottom line is typically a difference of about $10/mo or $100/yr between a cheap web hosting service and an excellent web hosting service with quality service and support. How much is it worth to ensure that when there’s a problem with your website, it gets addressed immediately rather than hours or days later? How much is it worth to not have wait on hold for 30-60 minutes when you call with a question? How much is it worth to speak with native-English speaking support person? Finally, how important is it too you that your church web hosting provider be a Christian ministry partner that understands the mission and challenges churches face and shares your ultimate mission and values? 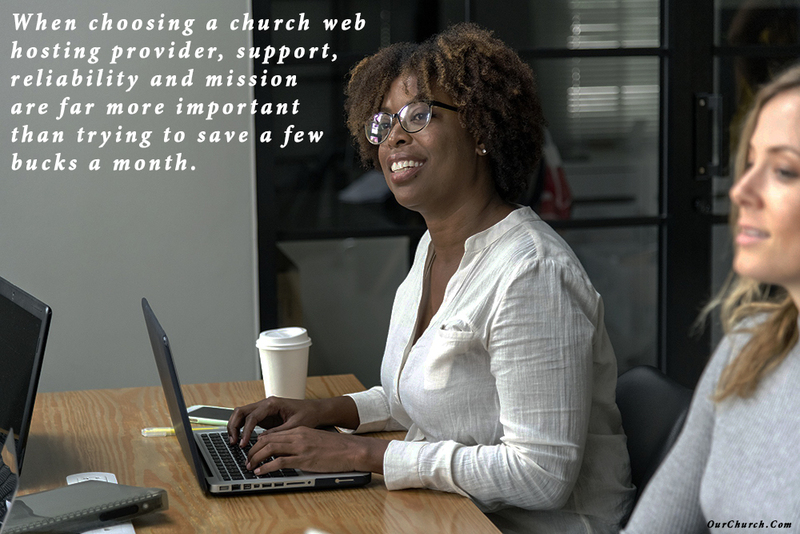 When choosing a church web hosting provider, support, reliability and mission are far more important than trying to save a few bucks a month. If you’re looking for a church web hosting provider that’s reliable and staffed by a caring, Christian US-based support team, check out OurChurch.Com. How important is price compared to support, reliability, and mission in church web hosting for you?